Today marks the first day of the regular 2016 NFL season for Monday Night Football. This is a double header as it has always been since ESPN took over in 2006. The first game tonight will be the Pittsburgh Steelers taking on the Washington Redskins at FedExField at 7:10PM EST and the Los Angeles Rams will go up against the San Francisco 49ers at 10:20PM EST. It looks the shoulder injury that the new Cleveland Browns quarterback, RGIII, suffered yesterday will put him on the injured reserve list. Seems as though the Browns cannot catch a break. We have some new reviews that you might wanna check out to bring along for those commercial breaks during the season. 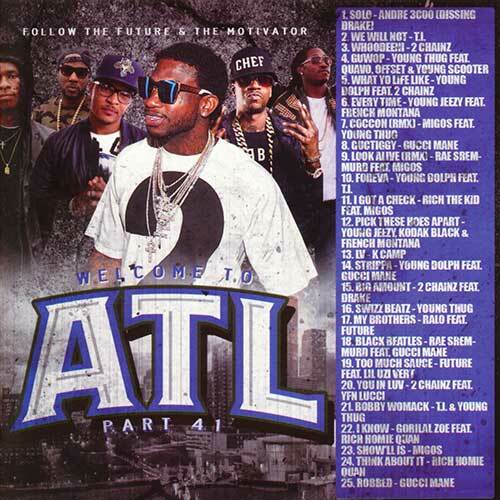 First, on the list of drops comes from The Motivator and Follow The Future with volume 41 of the Georgia state collection labeled “Welcome To ATL”. This 25 song down south playlist contains records by Gucci Mane, T.I., Andre 3000, Young Jeezy, French Montana, Kodak Black, K. Camp, 2 Chainz, Young Thug, Gorilla Zoe, Migos, Rich Homie Quan, Ralo, Future, Offset, Young Scooter, Young Dolph, YFN Lucci, and more from The Peach State. 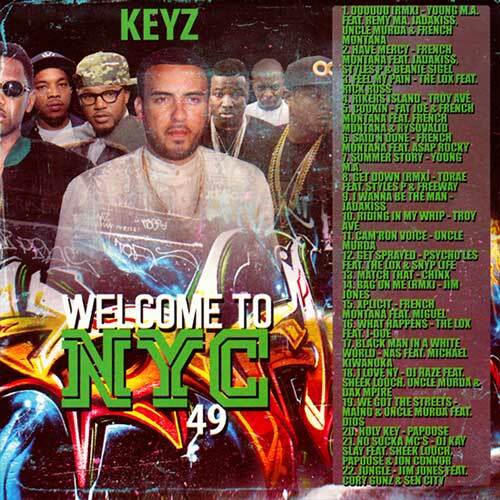 DJ Keyz is back with another east coast release of the “Welcome To NYC” franchise. Part 49 of the series plays you tracks by hip hop lyricists such as Chinx, Jim Jones, Papoose, Maino, Uncle Murda, The L.O.X., Snyp Life, Jadakiss, Troy Ave, Fat Joe, Remy Ma, Young M.A., A$AP Rocky, Styles P, Freeway, Sheek Louch, and much more on this 22-track product. If you wanna know about all the latest drops from this DJ be sure to follow him on twitter. Next, DJ S.R. returns to the scene and gives the streets number 11 of the “Good Muziikk” digital download library. Look for drops on this installment by Lil Durk, Arean, A Boogie Wit Da Hoodie, Kid Ink, Nipsey Hu$$le, Ca$h Out, Dae Dae, Lil Uzi Vert, Jerreau, Asian Smoke, Wale, Eric Bellinger, G. Herbo, Chevy Woods, Skippa Da Flippa, and others on this 30 record track listing. Use the suggested feature to easily browse all of this DJ’s releases. If you are on mobile, just swipe left or right to check out all of his products. 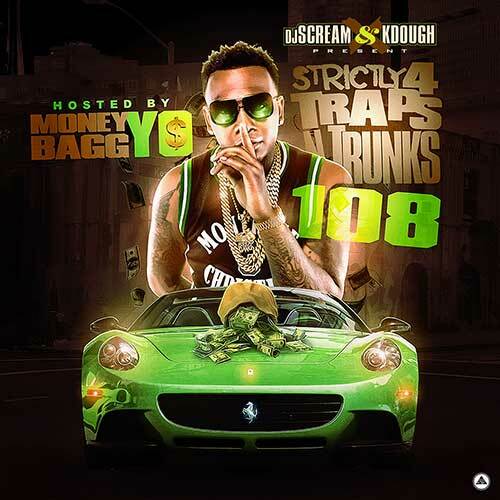 Trap N Trunks and DJ Scream release to the streets number 108 of the “Strictly 4 Traps N Trunks” dirty south music sessions hosted by Moneybagg Yo. These drops contain popular southern emcees along with up and coming artists. 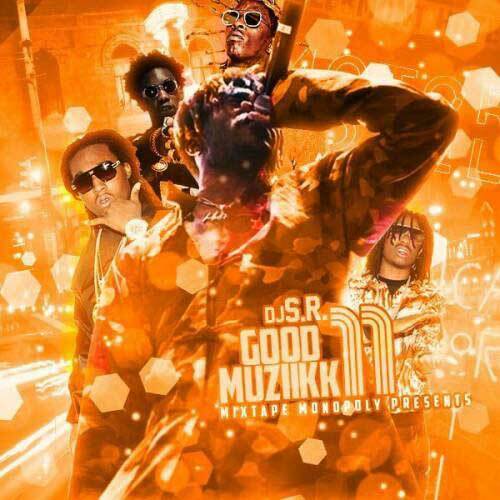 MP3s on this edition by the host, Ray Vicks, Kevin Gates, Block 125, Criminal Manne, PaperRoute, Jay Fizzle, Boosie Badazz, Lil Phat, Yung Blaze, Zed Zilla, Jose Guapo, Joe Black, DC Gutta, Flizy, Swipey, Starlito, Lil Murda, and more. Do not sleep on this franchise as the presentation is always nice, so the content will always match that. Tapemasters Inc and DJ Envy are back with more from the “Down & Dirty R&B” franchise. Singer-songwriters making the cut for this installment such as Usher, Ayo Jay, Bryson Tiller, Tory Lanez, Alicia Keys, Kehlani, Lloyd, PARTYNEXTDOOR, Frank Ocean, Mark Morrison, Candice Boyd, Raja, Meghan Trainor, Rihanna, Marsh Ambrosious, Tish Hyman, and more popular industry recording acts. Well, at least football season has finally started. It seems like temperatures in some parts of the United States will finally start to cool off now that September is here. That brings this edition of blog post reviews from the best site on the planet to a close. If you are on the go, remember to pull up our site on your mobile browser, so you will always have access to the latest tunes. This is a big month for NCAA college basketball, as it marks the start of the March Madness tournament on the 17th. Who will be in the “Sweet Sixteen”, “Elite Eight” or play in the “Final Four” series? Be sure to watch as 64 teams begin to battle it out for the championship title. Which of your favorites will it make it through all 6 rounds to claim the trophy? Spring is right around the corner, so it’s time for another blog post giving you the scoop on just some of the best mixtapes on the internet and streets. Starting off are Tapemasters Inc and DJ Envy with their first release of 2016. 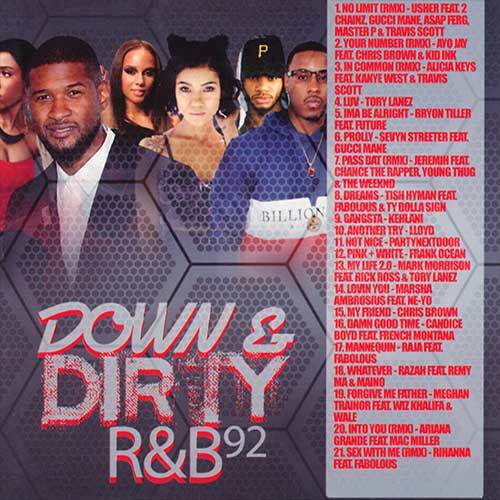 They’re back to bring you the 88th installment in the franchise labeled “Down & Dirty R&B”. This edition brings you free music downloads by popular musicians such as Tinashe, Zendaya, Chris Brown, Beyonce, Rihanna, Drake, Bryson Tiller, Tory Lanez, Pleasure P, Plies, Faith Evans, Keri Hilson, Jeremih, Miguel, R. Kelly, Christina Milan, and much more from the recording industry. 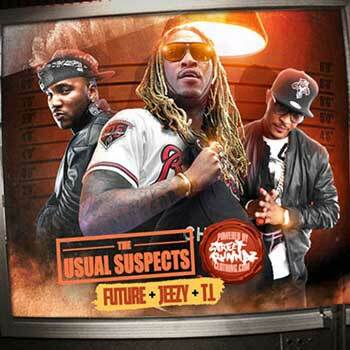 Next, on the list is the “Future + Jeezy + T.I. Edition” of the franchise titled “The Usual Suspects”. This 17-track playlist gives you the newest hit records by the southern emcees. These Street Runnaz Clothing sponsored mixtapes normally showcase 2 or 3 of the most popular emcees currently out. Look for guest appearances by The Weeknd, Dej Loaf, Dave East, Audio Push, Trae Tha Truth, Rick Ross, P. Reign, Young Thug, Chris Brown, Migos, 2 Chainz, Meek Mill, Colonel Loud, and many others. 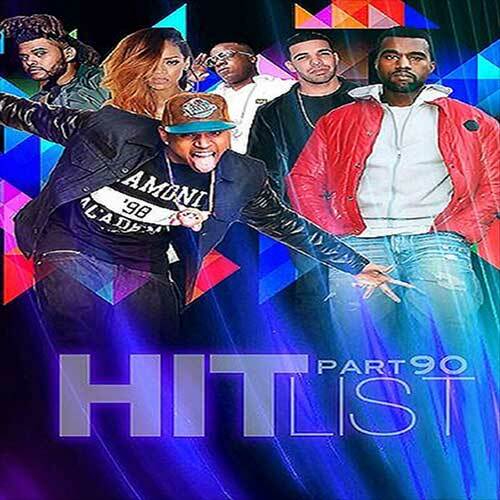 Finally, DJ Envy and Tapemasters Inc also drop off part 90 in the “Hitlist” library. This is a long running franchise that carries only the best free mp3 downloads currently in rotation. Artists on this product include Yo Gotti, Lil Wayne, Nicki Minaj, JR Castro, Kid Ink, DJ Luke Nasty, Justin Bieber, Curren$y, August Alsina, French Montana, Beyonce, Tory Lanez, and others on this 22 song playlist. That’s all we have for this blog post review. As always, our site is mobile compatible, so be sure to log-on with your mobile browser to listen and download the best music currently out. Check back daily and hourly because the site is constantly being updated. 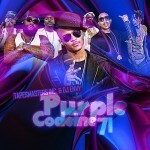 This is another edition to the buymixtapes blog. Spring is off to a good start before we hit the summer. This is the latest review in the hottest free music out there. The first is from the Morocco born Karim Kharbouch better known as French Montana. French Montana made his way up getting wavy with the currently incarcerated Max Biggavelli. Now he puts out hit records under the Coke Boyz imprint. 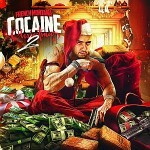 The “Cocaine Christmas 2” release proves that Christmas comes early. 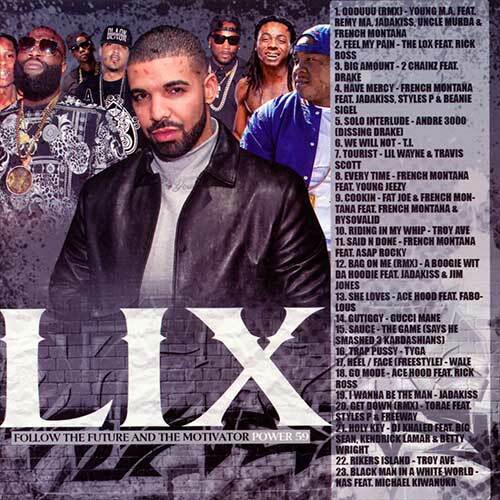 This mixtape features appearances by Raekwon, Busta Rhymes, Shiesty Shiest, Beyonce, Chinx, Lil Durk, and others. 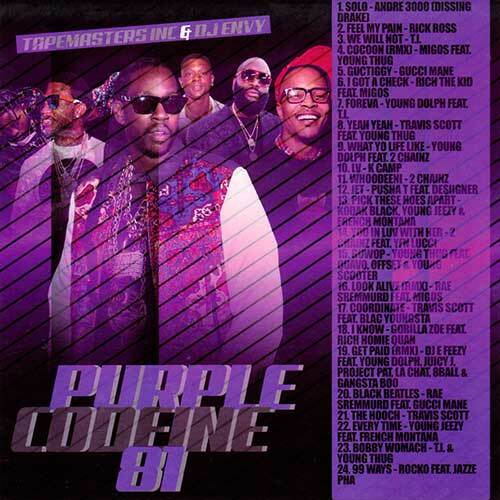 Tapemasters Inc and DJ Envy are back again with another installment in the down south series labeled “Purple Codeine”. Volume 71 is another banger with newest tracks from the southern part of the United States. Music on this release from Rick Ross, T.I., Lil Boosie, 2 Chainz, Juvenile, Ludacris, Ace Hood, Future, Gucci Mane, Lil Boosie, and other top southern emcees. Connecticut DJ Big Mike returns with another hot mixape for the streets. Titled “Soundtrack For The Streets”, this drop promises to give you the hardest out right now. 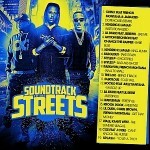 The April edition of the franchise features music by Fabolous, Kendrick Lamar, Lil Durk, Rocko, Juelz Santana, Wale, J. Cole, Chinx, Jadakiss, and other street artists. Hip Hop Crack is back with another in the free music series. 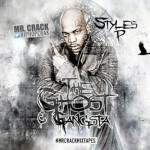 DJ Mr Crack give you part 2 in the “The Ghost and Gangsta” series with the headliner Styles P. Other featured artists include Sheek Louch, Vado, Fred The Godson, Masonne, Cassidy, John John Da Don, Jagged Edge, 38 Spesh, and others. Look who’s back, it’s one of the originals, the Drama King of New York, DJ Kayslay. The producer of the whole mixtape titled “The Industry Purge”. Emcees on this release include Young Buck, Freeway, Young Chris, Neek Bucks, Cory Gunz, Sammi J, Trick Trick, The Game, Maino, Byrd Gang, and much more. 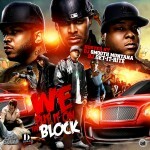 DJ Smooth Montana and DJ Get-It-Rite are here to give you a release by The LOX. These Living Off Experience Yonkers rappers rip this whole product. 21-tracks from some of originals with features by Tyler Woods, Ma$e, Black Rob, DJ Kid Capri, Foxy Brown, and more. 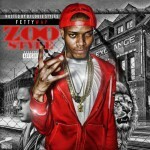 One of the newest and hottest artists out is Fetty Wap. This man is from New Jersey with a down south influence from Gucci Mane, hence the the name Wap from Guwap. DJ Louie Styles showcases 19 tracks from the ZooWap emcee. This brings another edition of the Buymixtapes blog to a close. Enjoy all the hottest new music out. As always we like premium members and you can check that out here. It’s the middle of March 2015 and we are back again with another review of the hottest free music available. This past weekend was the celebration of St. Patrick’s Day with the official holiday on Tuesday the 17th. The Easter season is upon us, as well as nice weather and spring break, so be sure to check out these hot jams to keep you entertained and vibing. 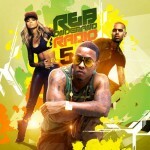 The first release is the 5th edition in the “R&B On Demand” series. These mixtapes will always play you the top free music currently being played on the air waves. 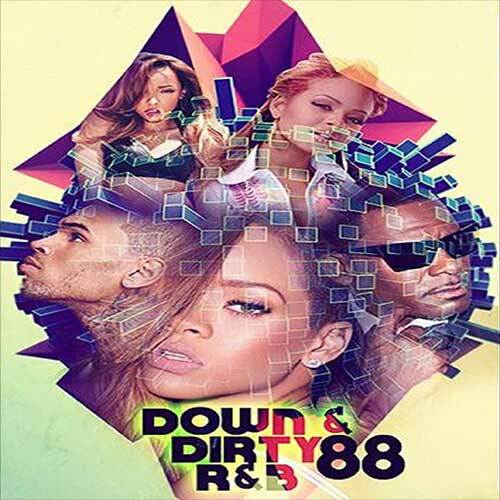 On this product, we have music by some of the industry’s most popular artists, such as Chris Brown, Rihanna, The Weeknd, Ciara, Usher, The-Dream, T.I., Tyga, Anthony Lewis, and also it seems the 90’s cover band that is making a comeback, Jodeci. The next release is part 6 of the “Behind Closed Doors” collection sponsored by Street Runnaz Clothing. 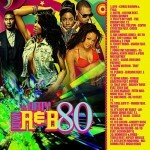 This drop, which plays you 17-tracks of the hottest slow jams, is hosted by DJ Five Venoms and The Syndicate DJs. Musicians making an appearance include Trey Songz, K. Michelle, Beyonce, D’Angelo, Jay Sean, Kevin Cossom, Adrian Marcel, Rico Love, Kirko Bangz, and another 90’s popular r&b group, Immature. 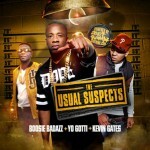 Next, is another mixtape sponsored by the Street Runnaz, which is the “Boosie Badazz + Yo Gotti + Kevin Gates Edition” of the franchise titled “The Usual Suspects”. These releases will always give you some of the best free music by 3 of the games top emcees. Features with this trio of southern rappers include Jadakiss, Fat Trel, Loaded Lux, S.B.O.E., Rich Homie Quan, Young Buck, Lloyd Banks, Lil Reese, C-Murder, Peewee Longway, Randy Bee, and other street artists. One of the most popular rappers to ever bless the microphone and has been around since the 90’s making his start on DJ Clue mixtapes, is Fabolous. The 6th installment in the “I’m So Brookyln” mixtape series gives you the latest hit records by the New York artist. Making an appearance with one of the longest running artists still dropping heat are Ne-Yo, Juicy J, French Montana, Red Cafe, Jeremiah, Tank, Velous, and other recording artists. 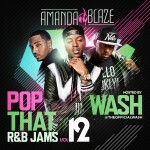 DJ Amanda Blaze aka “The Hottest Chic in the Game” is back with another installment in the “Pop That R&B Jams” franchise. She was formerly a resident DJ at Jay’Z 40/40 club, but has now taken her craft to Miami, Florida. Although she will make an appearance from time to time up in New York City. This 31-track mix of free music has smooth transitions between tracks and blends together very nicely. Songs on this release by Rick Ross, Ty Dolla $ign, Wash, J. Cole, Future, Mack Wild, Big $ean, Ariana Grande, Bobby V, Crooked I, Miguel, Fetty Wap, and others on this hot product. 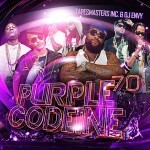 Up next is part 70 of the popular down south series titled “Purple Codeine” hosted by Tapemasters Inc and DJ Envy. You can find DJ Envy hosting the morning radio show, “The Breakfast Club” on Power 105.1 with Charlamagne Tha God and the beautiful Ms. Angela Yee. 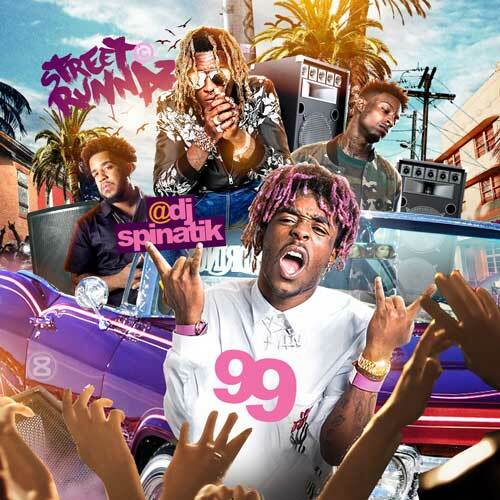 Artists appearing on this southern mixtape series include Young Jeezy, 2 Chainz, Ludacris, Plies, Lil Wayne, Yung Joc, Juvenile, Young Thug, Pusha T, B.o.B., OJ Da Juiceman, Cap 1, and other popular emcees from the southern part of the United States. Finally, we have a release of free music by DJ Triple Exe who hails from the United Kingdom. He’s back with the 95th installment in “The Passion Of R&B” series. This drop plays you the hottest rhythm and blues music currently out. Industry talent on this drop by Aaliyah, ScHoolboy Q, Madonna, Nas, K. Camp, DJ Mu$tard, Kanye West, Paul McCartney, Elle Verner, Frank Ocean, and much more. As the cover says, there are only 5 more of these releases left until the final mixtape in this franchise. Well folks, that concludes this blog posting for now, but be sure to check back for future reviews. We are always here to give you the best free music to play on your computer or mobile device. Find out about our platinum membership benefits to get you ready for the summer here. Welcome back again to the hottest and original mixtape site on the internet and this is the coldest month of the year February, not January. Buymixtapes is number one for all the latest hits. Always the best music to download free on your computer, laptop, or mobile device. It’s been a long time since DJ Envy has been on the website. The 80th edition of the “Down and Dirty R&B” release shows why he is one of the best DJs still out since the early days of the game. Envy has some of the toughest tracks out right on this mixtape with new music from Chris Brown, T.I., Trey Songz, J. Cole, Tamar Braxton, Tyga, Ciara, E-40, ScHoolboy Q, Nicki Minaj, and much more. Even Madonna is on this release, but not sure why she is still trying. 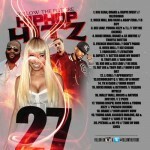 Follow The Future DJs are back with #27 in the “Hip Hop Hitz” collection. This release plays you some of the best records out right now, why else would it be on the site? You’re lookin at new music by Fabolous, Dipset, French Montana, J. Cole, Meek Mill, Young Jeezy, Big $ean, Dej Loaf, Troy Ave, Kid Ink, A$AP Ferg, and a list of other top emcees. The incarcerated boss Gucci Mane is constantly releasing mixtapes from the jail cell. Apparently he had so much music recorded before he went it. 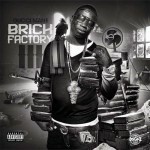 The 1017 boss is back once again with the 3rd volume in the “Brick Factory” franchise. 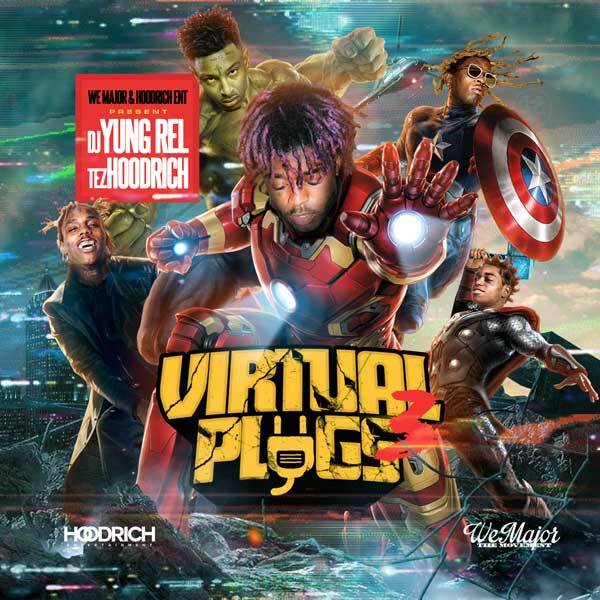 Features on this release include MPA Wicced, Hoodrich Pablo Juan, Young Thug, Lil B, Young LA, MPA Duke, and Peewee Longway. 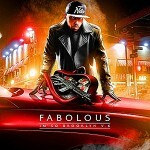 One of the best and deserves the limelight in G-Unit, along with Lloyd Banks is back with a official mixtape release. If they could show and prove, how hot would a Young Buck and Lloyd Banks joint be? 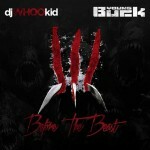 The down south emcee drops an original product hosted by the long time and original G-Unit DJ, DJ Whoo Kid.